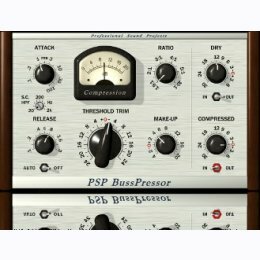 PSP BussPressor is a compressor optimized for group and master buss processing. It combines the sound of classic VCA compression with wide tuning capabilities. Extra controls allow you to adjust a side chain high pass filter or apply parallel compression. Trial version are fully functional and run for 14 days after installing.